Yup, I’m still here. Hope you are, too. This is the Anouk pinafore from Knitty. 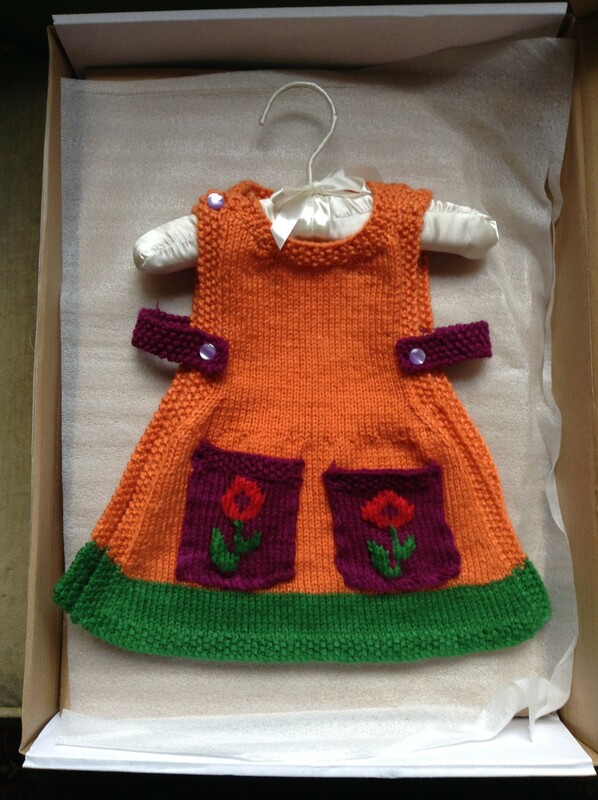 I made it for a friend of mine whose daughter was born in late spring and knit it in a size that would fit her (I hope!) this winter. You have been a busy little knitting bee! The pinafore is adorable!